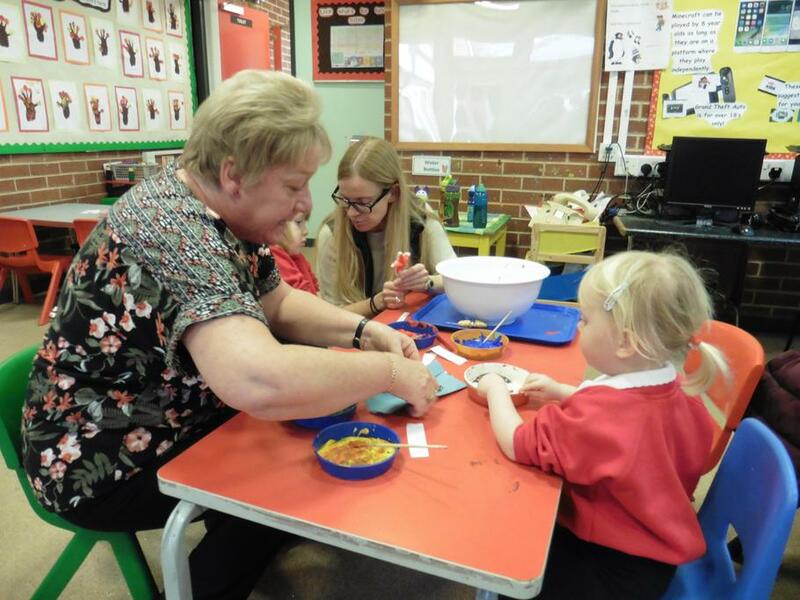 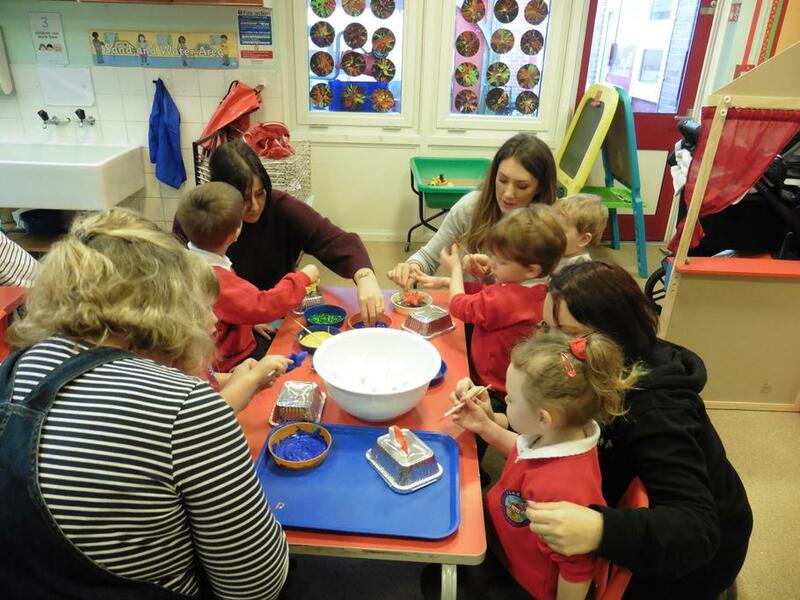 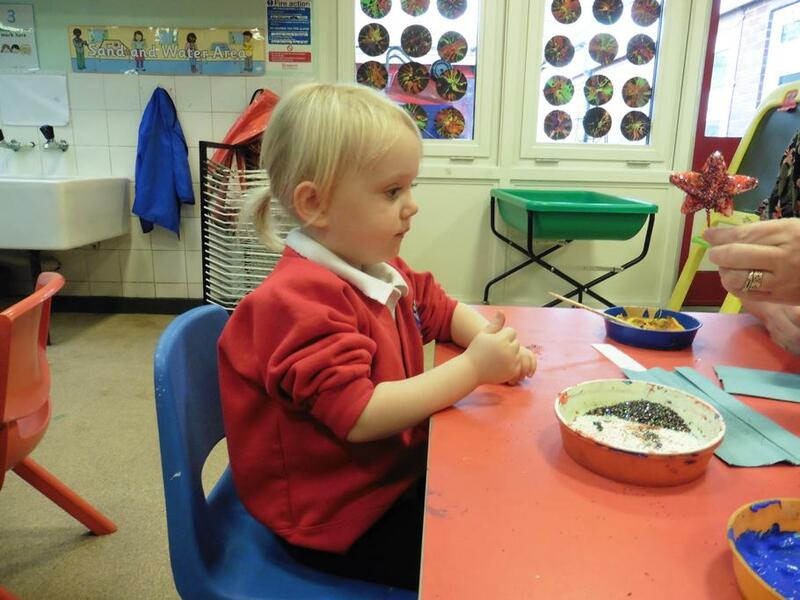 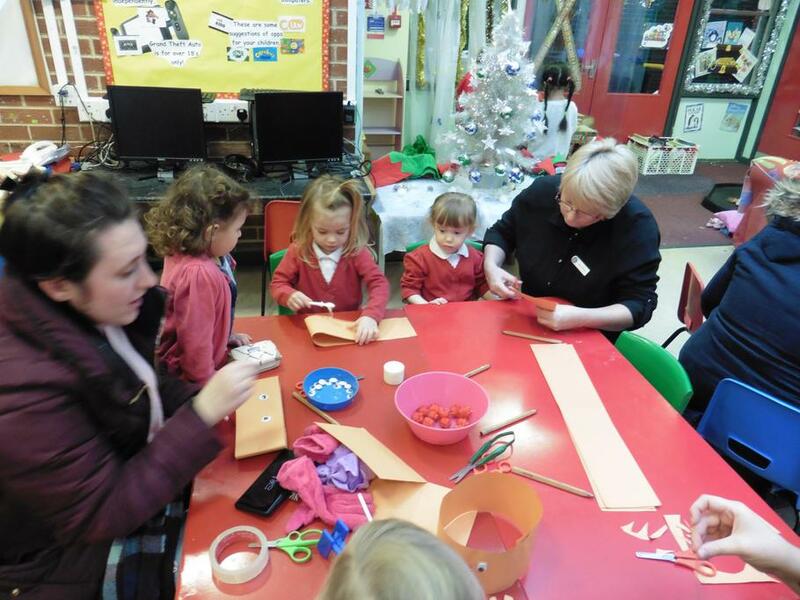 Mrs Butler and Mrs Scales delivered another fantastic Christmas Craft day in Nursery! 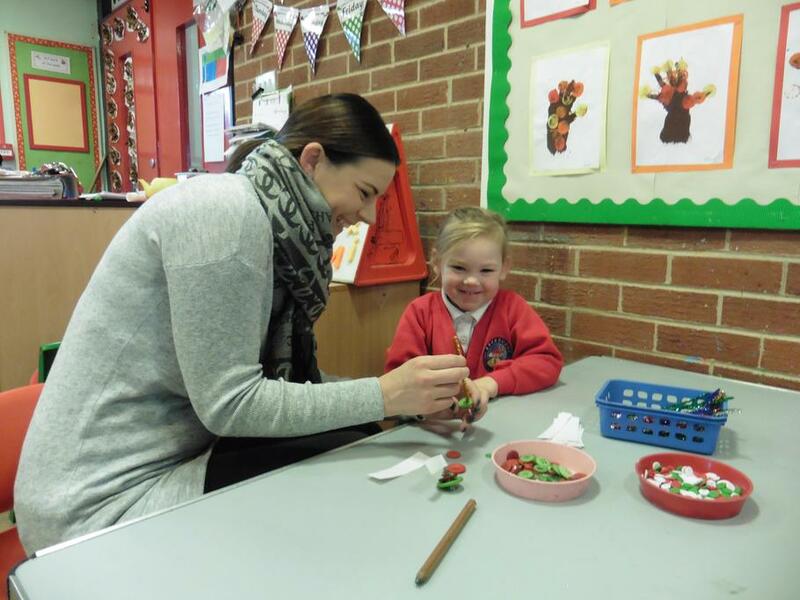 The children, along with their parents and carers, made gorgeous glitter stars, beautiful button Christmas trees, scrumptious snowman biscuits, perfect paper chains and remarkable reindeer hats. 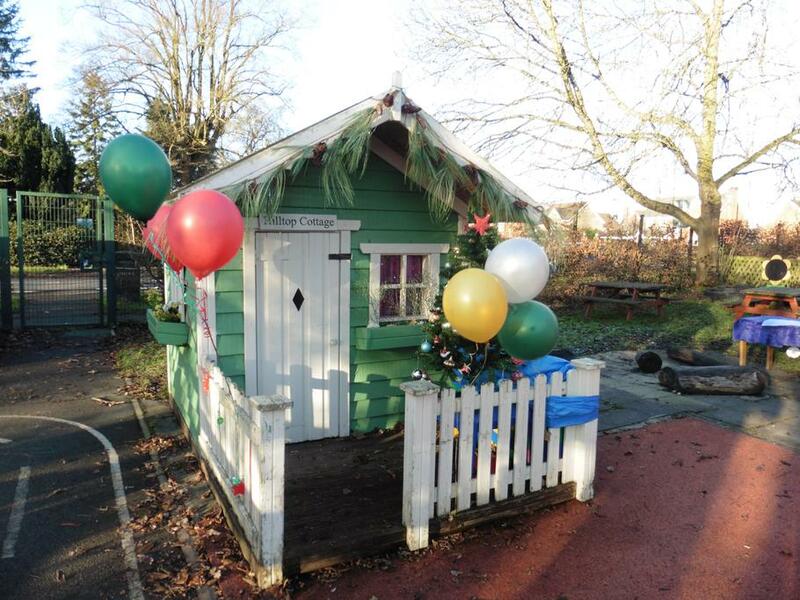 There was also an elves' workshop and Santa's grotto, occupied by Santa himself! 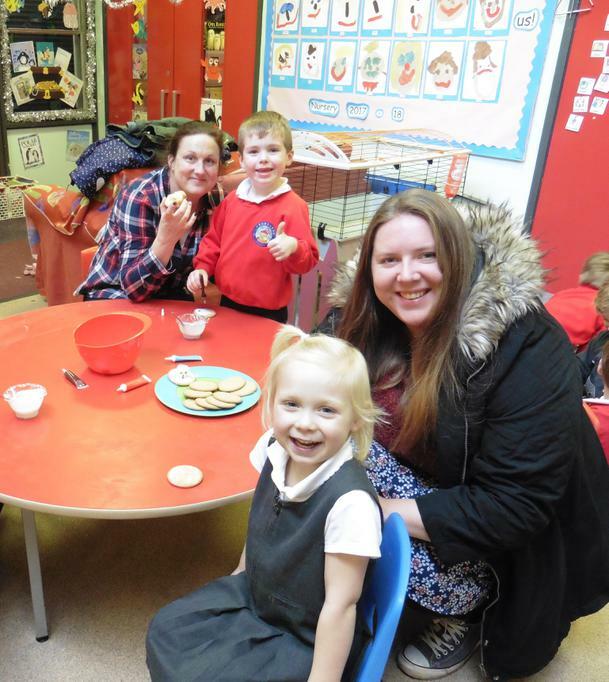 Thank you so much to the parents and carers who came along and contributed to this happy and festive occasion, the children for working so well and the extra volunteers who came in to help.